Meet the Ball, the latest addition to our award-winning family of hand-built microphones. 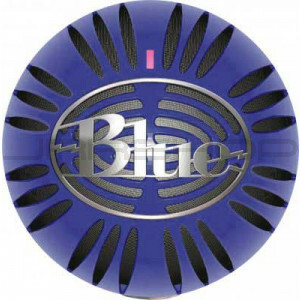 So-named for its unique shape and inimitable Blue styling, The Ball is our first offering in the dynamic mic category. But a phantom-powered dynamic? Yes. And no. Most recordists know that conventional dynamic mics do not require external DC power. Rather, they employ a relatively simple circuit and derive their output voltage through electromagnetic induction. While this makes them rugged, reliable and easier to operate than their electrostatic counterparts, they also present the user with a unique set of problems. Chief among these is frequency-dependent variable resistance which has dramatic effects on the transducer’s acoustic balance, phase coherence, noise specification and overall output. Our engineers solved this problem by incorporating a phantom-powered proprietary active balancing circuit in the Ball’s output stage. This circuit maintains a constant pure-resistive 50-ohm load across the useable frequency spectrum yielding an exceptionally smooth and open sound previously unheard of in a dynamic microphone. Additionally, as a dynamic mic, the Ball is capable of handling extremely high sound pressure levels without distortion, making it the ideal choice for studio, stage, broadcast, film or any other applications where reliability, versatility and the utmost sound quality is required.